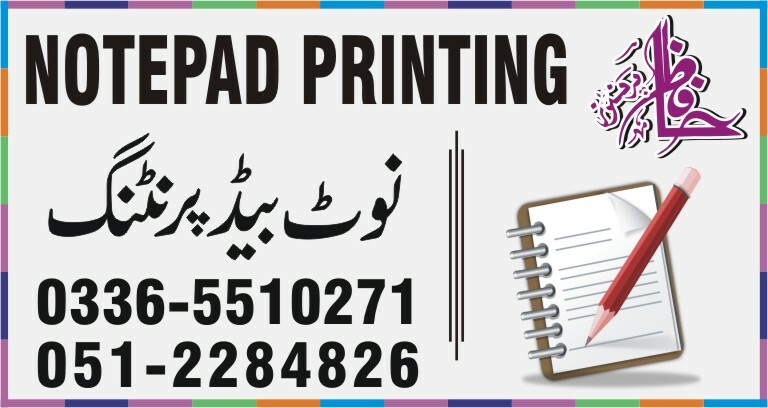 We Provide Note Pad Printing Services in Islamabad, Pakistan. Very High Quality Pad Printing Services In Low Prices. A Notepad can make a wonderful promotional item for anyone who is working from a strict budget. We print and design notepads in several different sizes, shapes and colors. Depending on how much money you want to spend in notepad printing, you can make plain notepads with your name and company logo on it, offered as fine gifts for clients.